This is a very quick last minute post that came to me while I was washing my face, which I thought would be best if I got out of my system as soon as possible, so forgive me if it doesn't seem very structured and quite rambly! Last night I was fortunate enough to make it into the Clinique event featuring the ever fantastic Caroline Hirons. She is one of my blogging 'idols' (cue girl-crush sentiments). Not only is she a very funny and grounded person, she honestly wants to help everyone that comes to her with a question, and for that I have vast respect for. Though the queue to see her was very long, and the event was five hours long, she was absolutely determined to see everyone, while still giving them a good little session so that we could all get our questions out to her, and she could give advice and recommendations. In fact, a little after I joined the queue, she came out to assure us she was doing her best to speak to everyone, before dashing back in to continue her one-to-ones. One of the main things I got out of the evening (apart from a mini skin check and great advice, which I think I will write about at a later date) was the fact that we all seem to see the worst in ourselves when it comes to our skin. A little ahead of me, a lady was absolutely convinced that she had blackheads, and had been scrubbing away at her skin to get rid of them. Caroline stared at her face for a good while, and declared her mad in the nicest way possible. When the lady insisted they were there, Caroline called over one of the Clinique consultants who also looked, and who couldn't see anything. The lady directly in front of me came to speak to Caroline about acne, and to be honest, I didn't even notice any when I was talking to her. Both of these women were really pretty in my opinion, and yet they were convinced there was something wrong with their skin. As for me, when I got there, I declared that I needed help for all my spots, and dealing with the scarring from them. Well, it turns out, though I may be blemish prone, it's more a hormonal thing, and I am not even that acnaic. All the creams, treatments and my washing regime was geared towards my absolute conviction that I was really acne-prone and that I had bad skin. The truth is, I don't have bad skin. Yes, it's a bit dehydrated, and yes I will keep on getting spots here and there, but that's life. The problem here really was my own self-belief that I didn't have nice skin. And you know, I think that was something that the ladies ahead of me felt. I don't doubt they are extremely intelligent and great people, but they too had the irrational belief that because their skin was not absolutely perfect, and did not match up to the skin we see advertised in the world around us, there was something wrong with them. I don't doubt that everyone who thinks about their skin feels the same way at some point or another. The point I'm trying to get to is that we are always so hard on ourselves about our own appearance, that we can sometimes become obsessed by the smallest thing that we think is 'wrong', and we then have our vision of ourselves obscured by this, that small something gets blown up out of proportion in our minds. I don't want to say that these small things aren't necessarily there, and we are being overdramatic and exaggerating. 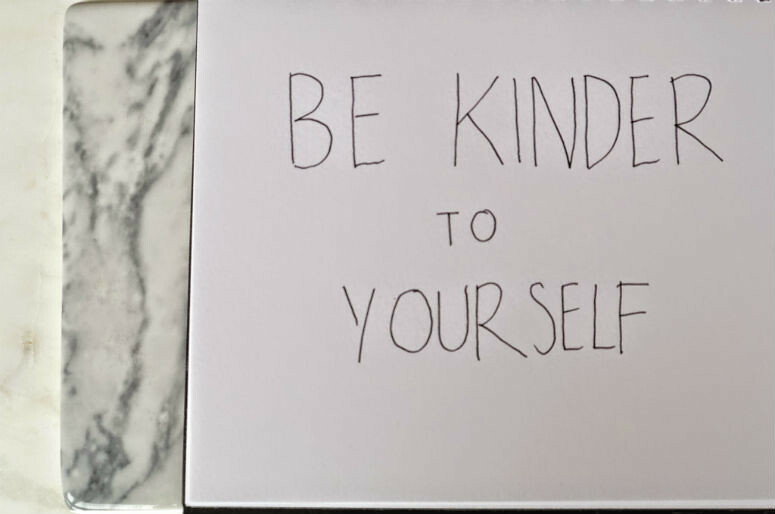 What I really want to say (very badly) is that it probably isn't anywhere near as bad as you think, and that we should try to stop being our own worst enemies, and be kinder and friendlier to ourselves. This has turned into a really long and far ramblier post than I had imagined, and I'm not sure I really got to the crux of my thoughts, but I hope that after reading this, you understand what I'm trying to get at. Everyone is beautiful, we just need to remind ourselves of that.